The TGF-β1 EIA kit is a colorimetric immunometric enzyme immunoassay kit with results in 4 hours. Absorbance is read at 450 nm. This kit provides ultra-sensitive measurement of as little as 3.3 pg/mL TGF-β1 and has been fully validated in activated serum, plasma, and culture supernatants. 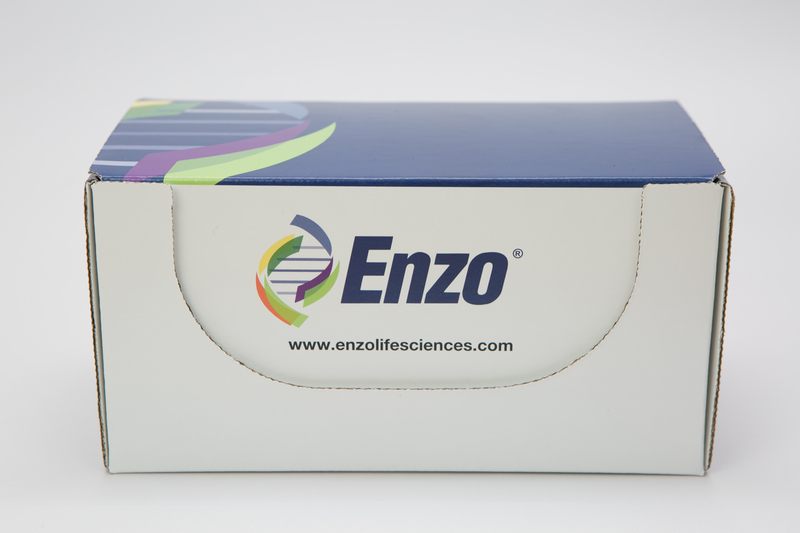 The ready-to-use liquid color-coded reagents reduce error. 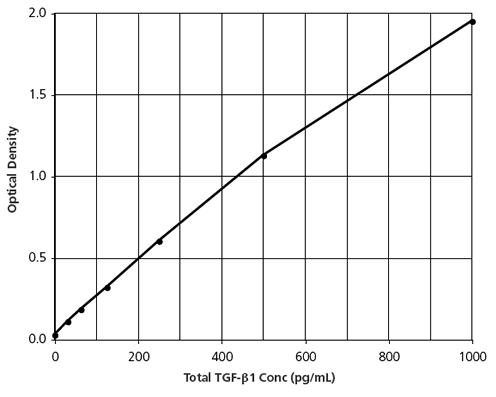 Application Notes: For the quantitative determination of TGF-β1 in culture supernatants, plasma, and serum of human, mouse, rat, and cow origin. Scientific Background: Transforming growth factor beta 1 is also known as TGFβ1, TGF β, and TGFB. The inactive form consists of a TGF-β1 homodimer that is non-covalently linked to a latency-associated peptide homodimer. The active form is a homodimer of mature TGF-β1 that is disulfide linked. The precursor is cleaved into mature TGF-β1 and the latency-associated peptide. Many cells can synthesize TGF-β1, which is secreted to function in proliferation, differentiation, transformation, signaling and apoptosis. This cytokine has been implicated in many diseases including diabetes, renal disease, chronic pulmonary obstructive disease, as well as many cancers including prostate, and colon. This protein is a potential tumor-specific cancer therapeutic. Specifically, as a stable soluble dimer, it ively induces apoptosis in many transformed cells, but not in normal cells. The literature contains many reviews on the biology and function of TGF-β1.